Fiat 500 ST Suspension 22mm Rear Sway Bar. 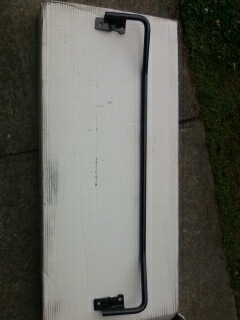 With the Fiat 500 and 500T the rear sway bar is a pain to install and there are several version of sway bar available. But this is the new 22mm Rear sway bar from KW's ST line of products so we know it is a quality product. Now comes the super sweet part. 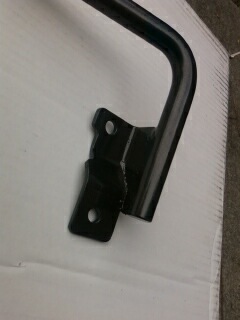 This is the easiest rear sway bar to install. This ST 22mm Rear sway bar has 4 mounting bolts, 2 of which mount to existing holes in the rear suspension beam. This allows you to mount the rear sway bar, then drill the other two holes in the rear beam with the bar in place so you know you have them in the right location. No silly templates needed, no screw ups allowed.